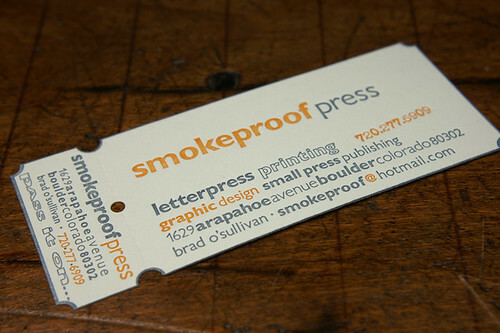 You are » Home » viewing the Smokeproof Press details. These ticket inspired cards feature a stub so that the person given the card can share it with someone else if appropriate. smokeproof’s work is beautiful, amazing, and functional art for everyday use.